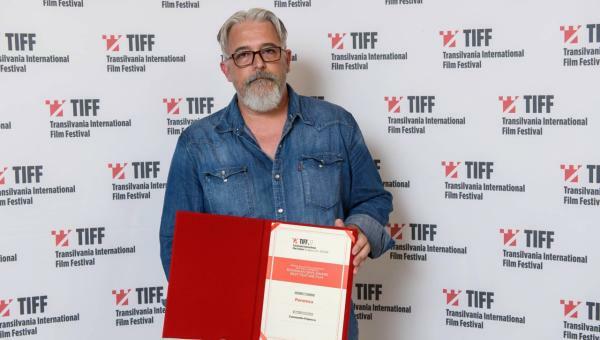 The 17th edition of the Transilvania International Film Festival announced its winners on Saturday, June 2, 2018, at its Closing Gala in the Cluj National Theater. “I would love it if every year we could have Romanian films like Touch Me Not and Charleston in the competition,” declared TIFF Artistic Director Mihai Chirilov, before thanking directors from around the world for coming to TIFF. 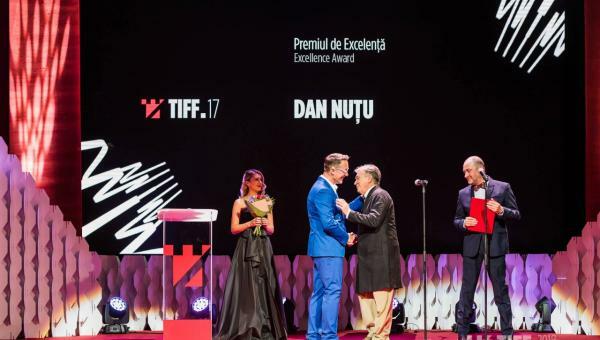 Over 800 guests, filmmakers, film lovers, journalists, etc., were at the Closing Gala hosted by TIFF President Tudor Giurgiu. Another few tens of thousands followed the ceremony live, through Facebook and YouTube, as well as the red carpet arrivals of stars Fanny Ardant, Jean-Marc Barr, Vlad Ivanov, Florin Piersic, Dorian Boguta, Ana Ularu; directors Cristi Puiu, Adina Pintilie, Andrei Crețulescu, and Tedy Necula; and television personalities Andreea Esca and Amalia Enache. The charming Anna Széles’s 50 years of stage and film presence were also honored at TIFF. Actor Florin Piersic, her former partner and co-star, handed her the Lifetime Achievement Award in front of an audience fascinated by their stories and by the abiding love they still have for each other.“I was lucky to have had wonderful directors and partners who stayed in my heart,”declared the actress. Introduced by Catalin Ștefanescu as an “extremely delicate character” and “one of the iconic actors of Romanian film,” Dan Nutu, the founder of Aristoteles Workshop, received the Excellence Award offered by Mercedes-Benz. Pororoca won the Romanian Days: Best Feature Film Award, consisting of 10,000 de Euro worth of post-production services offered by Cinelabs Romania. Actress Madalina Ghenea handed the award to director Constantin Popescu. Ivana Mladenovic’s controversial Soldiers. 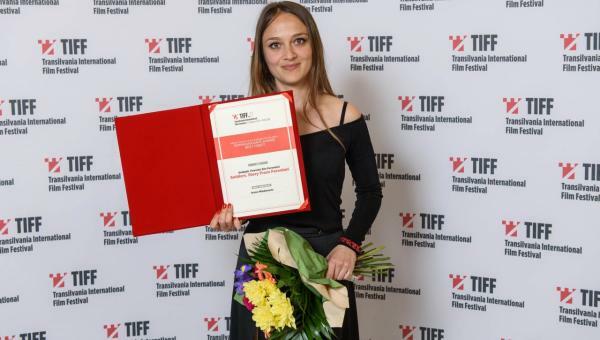 Story From Ferentari received the 1,000 Euro Romanian Days: Best Debut Feature Award offered by Banca Transilvania “for the courage and dignity exhibited both by the director and by the characters she constructed.” Berlinale winner Touch Me Not received a Special Mention from the Romanian Days jury. “It is very complicated to place a film like this one on the market. Your warmth proves that the market underestimates the emotional intelligence of the audience,” said director Adina Pintilie. The most popular film of this section, Daniel Sandu’s One Step Behind The Seraphim received the 1,500 Euro Romanian Days Audience Award offered by Dacin Sara. This is the first award received by the film; director Iura Luncasu handed it to young actor Stefan Iancu. 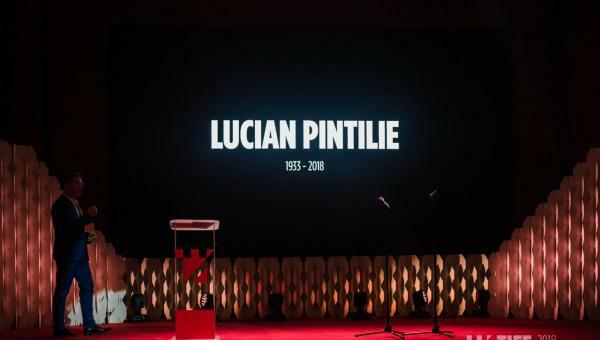 “In our road to death we need to support each other a little more,” cautioned the voice of late director Lucian Pintilie during a moving homage screened in the National Theater. 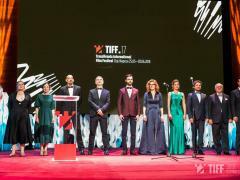 TIFF President Tudor Giurgiu dedicated the evening to him. 3rd edition of First Film First at Transilvania Film Festival!